Pictured L-R: Andrew Scheps; Elliot Scheiner; Maureen Droney, P&E Senior Executive Director; Allyson Pahmer, Consumer Electronics Association Member Relations; Paul Stewart, Genelec Inc. Territory Manager, East Coast; and Tom Fleischman. Photo by Ilya Savenok/WireImage.com. Photo courtesy of The Recording Academy®/WireImage.com. © 2013. Pictured L-R: Elliot Scheiner, Andrew Scheps and Tom Fleischman. Photo by Ilya Savenok/WireImage.com. Photo courtesy of The Recording Academy®/WireImage.com. © 2013. SANTA MONICA, Calif. (July 19, 2013) — On the evening of Wednesday, June 26, 2013, in New York City, The Recording Academy® Producers & Engineers Wing® hosted "Hear It Like I Hear It," a joint presentation of the P&E Wing and the Consumer Electronics Association (CEA®) Audio Division, and scheduled in conjunction with CE Week in New York. Held in an intimate setting in Manhattan's Alison 18 restaurant, just a few short blocks from the CE Week exhibits, it was attended by prominent members of the audio community, consumer audio media and journalists from the mainstream press. 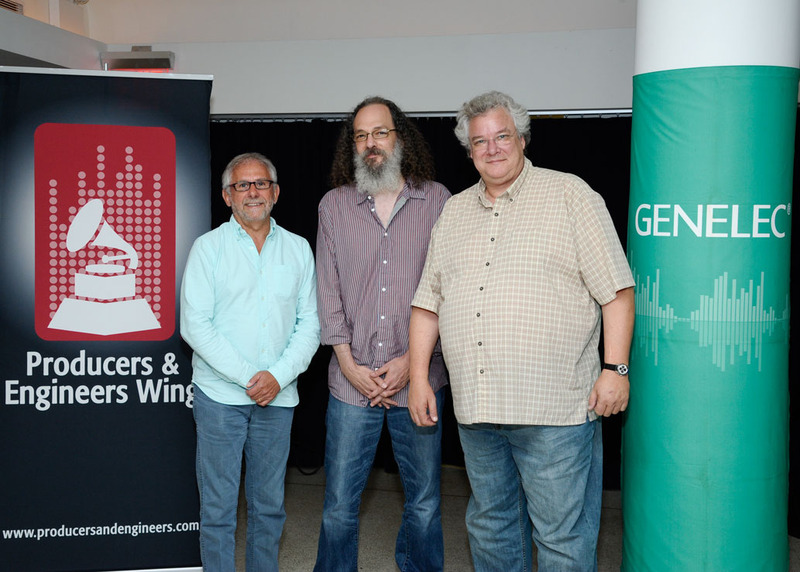 The first half of the evening featured GRAMMY®-winning engineer Andrew Scheps' presentation "Lost In Translation," again part of the P&E Wing and CEA Audio Division’s ongoing "Quality Sound Matters" initiative, which educates about and demonstrates the importance of high-quality audio. The lecture provided an engaging, revelatory and humorous presentation of current audio format comparisons. Set in a high-end listening environment featuring a Genelec 5.1 Active Monitoring System, the multimedia demonstration showcased the auditory differences of master recordings played back in different formats such as vinyl, CD, MP3, AAC and online streaming models. Scheps has engineered and mixed for some of the biggest acts in the business, including Adele, Green Day, Linkin Park, Metallica, Red Hot Chili Peppers and U2. He is a two-time GRAMMY winner for his work on the Red Hot Chili Peppers' Stadium Arcadium and Adele's 21 albums and was named the 2012 International Recording Engineer of the Year by the UK’s Music Producers Guild. The evening's second half focused on audio in film, and GRAMMY-winning engineer Elliot Scheiner (The Eagles, Steely Dan) and prominent re-recording mixer Tom Fleischman (Silence of the Lambs, The Aviator, Gangs of New York) discussed their recent project, the documentary film History of the Eagles. Showing clips from the documentary, Fleischman and Scheiner discussed how they were able to remix audio from vintage live recordings of the band for the documentary's rich 5.1 surround sound format. 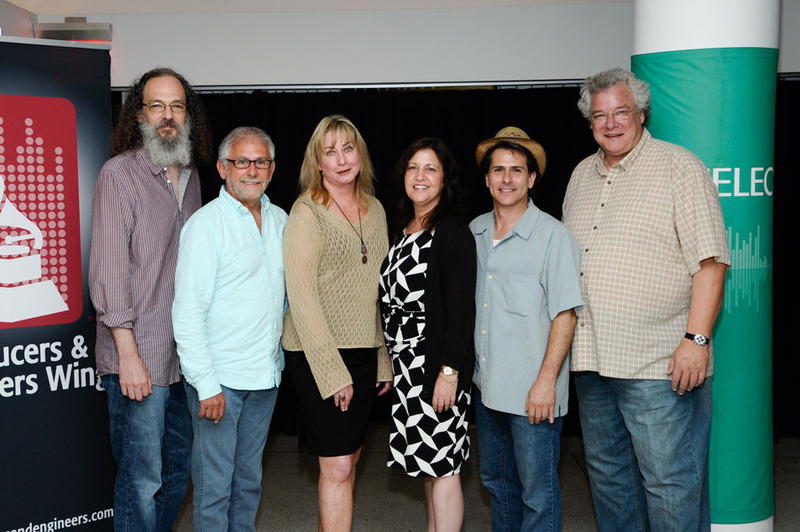 Scheiner has worked with the Eagles for decades, putting him in a unique position to reflect the band's signature sound and original creative intent on the newly mixed footage, and he discussed this process in the context of their classic albums and recording sessions. Maureen Droney, P&E Wing Senior Executive Director, stated, "The 'Hear It Like I Hear It' event was another successful venture for the P&E Wing, and we were especially pleased to present these sessions with the CEA Audio Division. The 'Lost in Translation' lecture series from Andrew Scheps has been a true highlight of recent events, providing an entertaining yet simple and practical exploration of the various formats delivering music to consumers today. Pairing it with Elliot Scheiner and Tom Fleischman's engaging lecture on their Eagles documentary audio work was a wonderful choice, as those two gentlemen, in discussing their 5.1-for-film mixing methods, were able to complement Scheps' lecture with more examples of the importance of quality sound. We thank all three of these minds for sharing their insight." Photo Caption 1: Pictured L-R: Andrew Scheps; Elliot Scheiner; Maureen Droney, P&E Senior Executive Director; Allyson Pahmer, Consumer Electronics Association Member Relations; Paul Stewart, Genelec Inc. Territory Manager, East Coast; and Tom Fleischman. Photo by Ilya Savenok/WireImage.com. Photo courtesy of The Recording Academy®/WireImage.com. © 2013. Photo Caption 2: Pictured L-R: Elliot Scheiner, Andrew Scheps and Tom Fleischman. Photo by Ilya Savenok/WireImage.com. Photo courtesy of The Recording Academy®/WireImage.com. © 2013. The Consumer Electronics Association (CEA) is the preeminent trade association promoting growth in the $209 billion U.S. consumer electronics industry. More than 2,000 companies enjoy the benefits of CEA membership, including legislative advocacy, market research, technical training and education, industry promotion, standards development and the fostering of business and strategic relationships. CEA also owns and produces the International CES – The Global Stage for Innovation. All profits from CES are reinvested into CEA’s industry services. Find CEA online at www.CE.org, www.DeclareInnovation.com and through social media.